Going on holiday with a little one can be tricky but as long as you’ve remembered to pack your fold up changing mat, you’ll already be onto a winner. When it comes to travelling by plane, it’s no surprise that parents – inexperienced or otherwise – feel their stress levels rise if they know they’re going to be taking their children away with them. Take a look at our ultimate guide for travelling with children on a plane for loads of helpful tips. 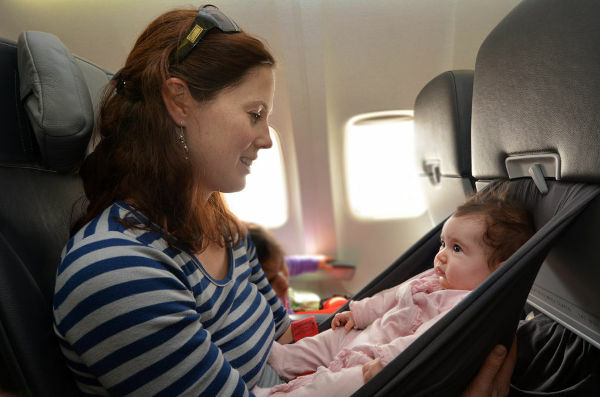 It can be quite difficult to change your baby mid-flight because the toilets are so cramped and small, and some aeroplanes don’t actually provide changing tables which can make it that much harder to get the job done. Before you book your flights, sit down and do some research into the different choices of aeroplanes and airlines so you know what you’ll need to pack and what you need to prepare for. Shorter flights may not have facilities like this as standard so checking each time is wise. Older planes may also not have baby changing space either. Prior to boarding, whisk your baby off to the airport toilet so you can change them quickly before getting on the plane. You’ll at least start the journey off with greater peace of mind, especially if you’re on a short flight. When on the plane, flag down a flight attendant and ask where their changing facilities are so you’re prepared if your baby does need changing. If you’re unlucky and you find your flight doesn’t have facilities to cater for parents of young children, see if you can change your child by folding the seat down on the toilet and using that as a hard surface. As long as you put your travel mat down first, you should be able to do this successfully.